Here we go with my new Ghostbusters obsession. When I get into something I go all out so I'm already acting like a junky. 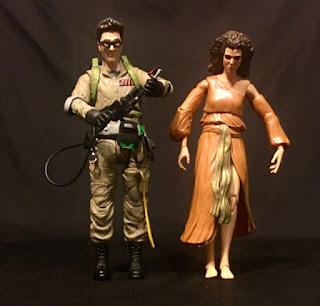 After I bought Egon Spengler I started looking for more figures. I went to Toys R Us again to look at the new figures and nearly bought them but held off since I wouldn't get any of the roof pieces. 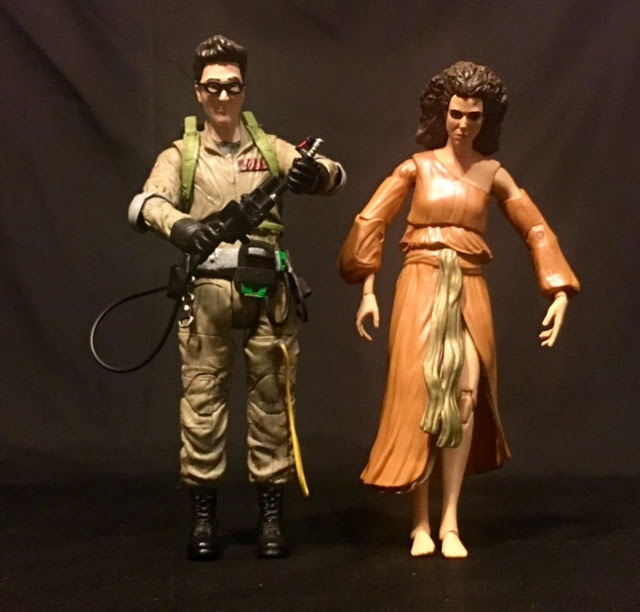 So I went looking online and found Dana and her mystery date for only 10 bucks since, according to the listing, the boxes were damaged. I was fine with that since I would be opening them up and honestly I couldn't find anything wrong with them. 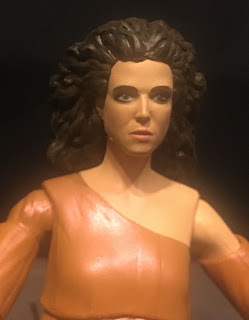 Dana Barrett, who was played by Sigourney Weaver, is part of the Diamond Select Series 2 along with Egon Spengler and Peter Venkman. 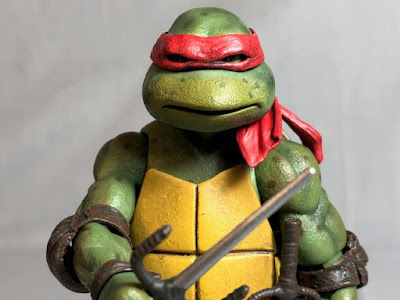 This seven inch action figure looks pretty good and better than how the pictures look. She's just a little off and I'm not sure how to explain what I mean. 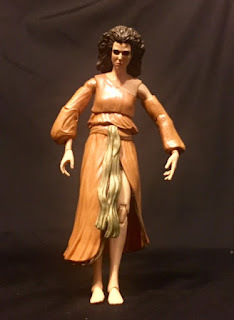 Her hair looks good and the dress is ok. And because she's based off the ending of the movie she has no accessories other than a second set of hands. The biggest problem with Dana is her feet. They are way close together and I understand it's because they are going for a certain look, also because the plastic dress only gives her legs a bit of room to move. 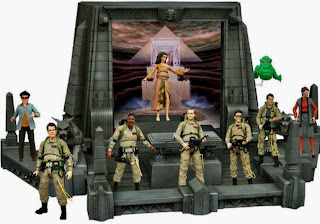 Because of this she's nearly impossible to stand up, worse than Egon. On the plus side she is in way better shape than Egon was so that makes me hopeful that the guys I still need will be very good. Although I know that Dana has only a dress on and no shoes so there isn't anywhere to put stickers. Overall I'm pretty happy with Dana Barrett and will continue buying the other figures from the rest of the series'. Before we go I found a picture of what all the pieces of the roof look like completed and just going by the pieces I already have this thing is going to be good. See you next time!